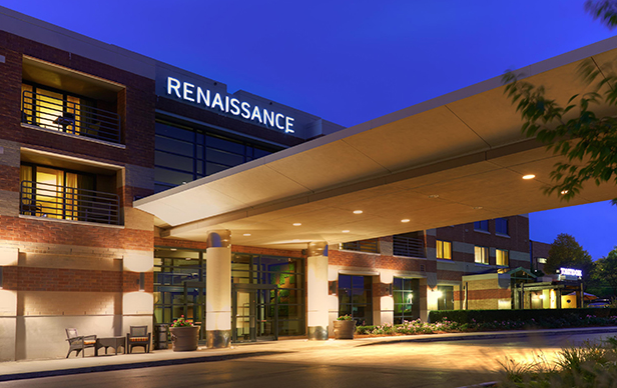 The Baronette Renaissance Detroit-Novi Hotel today announced the completion of $3 million in renovations of all guest rooms, suites, and the lobby. More than $5.5 million has been invested in renovations and upgrades to the property since 2014. As part of the most recent round of renovations, the hotel’s 155 rooms, including 6 suites, were completely upgraded, including a modern design, new contemporary furniture, and artwork reflecting the automotive industry. The lodge is located next to Twelve Oaks Mall. An initial $2.5 Million investment began in 2014 with renovations to all full meeting spaces, as well as outdoor patio areas including landscaping and more. The complete renovations also include the renovation and redesign of the Baronette Renaissance’s Grand Oak Ballroom — the 300-capacity on-site banquet facility used for weddings and corporate parties. The Baronette Renaissance’s on-site restaurant, Toasted Oak Grill & Market, also underwent a full renovation and recently announced the appointment of Executive Chef Ken Miller, Food and Beverage Director Ferris Anthony, and Manager Jackie Phillips. For more information, visit TheBaronette.com or call 248-349-7800.